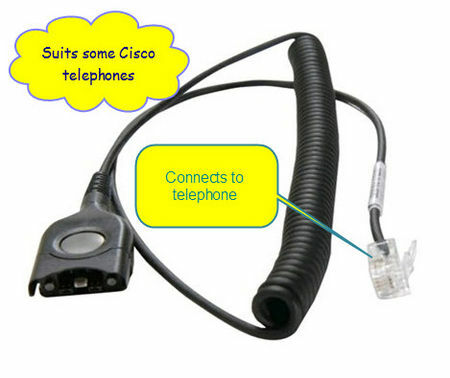 This cord directly connects your Sennheiser headset to most Cisco telephones. Compatible with Cisco 794x, 796x and 797x phones. Also some Telstra Touchfones. Also can be used to connect Sennheiser headsets to a Plantronics M22 amplifier. Phone us on 1800 060 976 to check your phones compatibility.